Bereft and penniless after the death of their father, the local Vicar and Private Chaplain to the Earl of Chadwood, the beautiful Olivia Lambrick, her younger brother Tony and her five-year-old sister Wendy are desperate for the new Earl to arrive at Chad Hall. Having inherited the title after his two cousins drowned in a sailing accident, it has taken the Earl a year to travel home from India. And meanwhile, with no one to pay the estate’s workers and pensioners, the entire village is almost starving. Olivia hopes that the Earl will honour the allowance her mother received as the late Earl’s cousin, but to her chagrin, he is a handsome but hard and unsympathetic man. 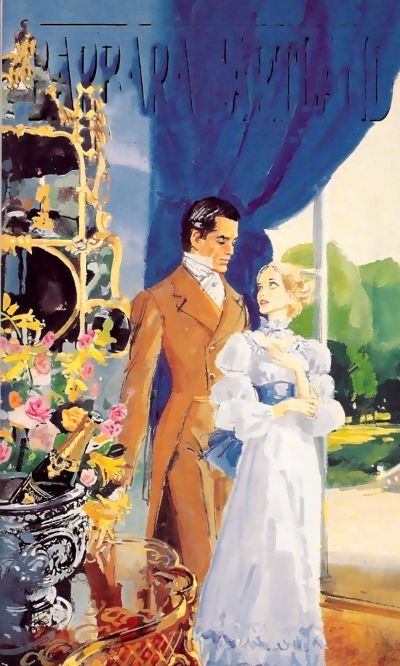 Refusing Olivia’s pleas and those of his half-brother, Gerald, who faces the debtors’ prison because of his high living in London, the Earl has a very unpleasant solution he will pay Gerald’s debts only if he marries Olivia! But Fate intervenes unexpectedly when the Earl is attacked by a vicious mob of youths from the village and, almost fatally injured by a knife thrust, is then carried to Olivia’s home. While Gerald uses a Power of Attorney to save the village, pay off his debts and look after the pensioners, Olivia saves the life of the man she hates and prays with all her heart that somehow love will save the day.